If you’re looking for Samsung Mobile cell phone and tablet accessories, take a look at what Accessory Geeks has to offer. We’ve scoured the world to find the coolest, highest-quality Samsung accessories on the market, and we’re making them available to you at surprisingly low prices — with free shipping included in the U.S. and Canada. Our Samsung accessories cover the gamut of Samsung’s offerings, ranging from Galaxy Alphas to the Galaxy Note 4 and more. 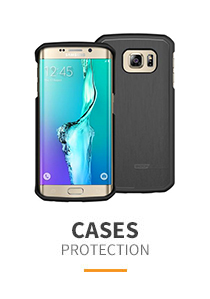 We stock protective items such as cases to protect your Galaxy 5 and other Samsung phones from dings, dents, nicks, drops and scratches. Accessory Geeks has many charging options available. The wall charger with detachable micro USB data cable will power your Samsung phone or tablet while simultaneously recharging it. 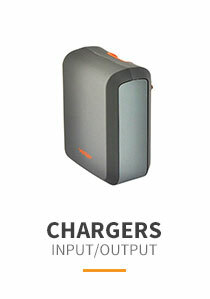 These devices let you charge your phone from a conventional wall outlet or from a USB port via their micro USB cables. 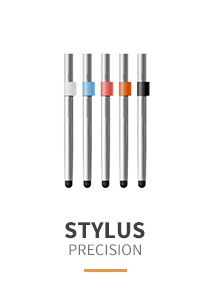 They allow you to sync and transfer files easily and quickly, yet they’re small enough to fit in a briefcase or backpack. You can easily take them with you and use them, whether you’re on the road or on the trail. 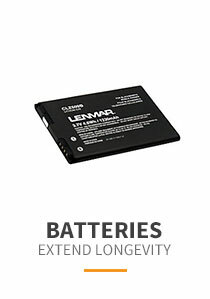 We also offer extra batteries for Samsung phones and tablets so that you can keep on working or playing with your gadget no matter how far off the grid you are or if your primary battery fails. It’s always wise to have a backup plan, you know. 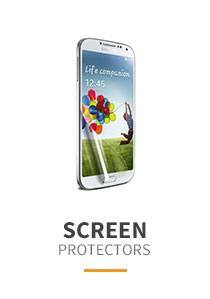 We offer screen protectors to protect your Samsung Mobile cell phone and tablet screen from nicks and scratches. We also stock a variety of stands to mount your Samsung in your car, whether on your windshield or dashboard, on your bike, on your desk or practically anywhere else you want to have it readily handy for hands-free use. 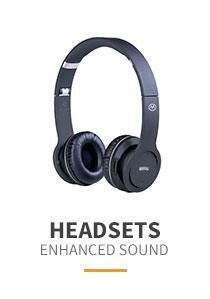 Accessory Geeks stocks headphones and headsets so you can listen to your favorite music and important calls in private — and considerately keep the noise level down for those around you. If you don’t see your Samsung Mobile cell phone or tablet accessory right away, just ask us. We’ll help you find exactly what you need at the lowest possible price and the highest available quality.